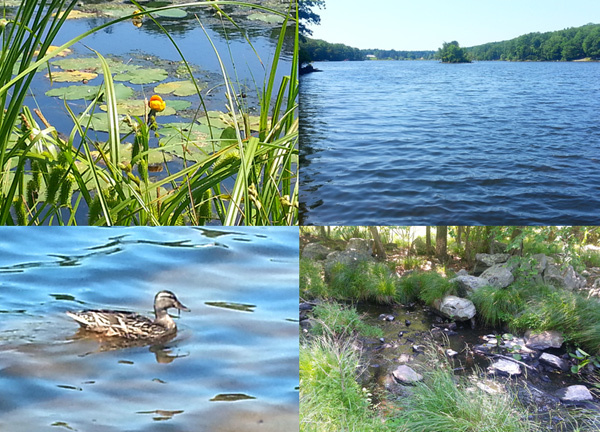 Every summer, for the past 10 years our kids spend the summer with their grandparents in the Pocono mountains, a charming wooded place, with plenty of lakes and creeks around. My father in law is an avid fisherman, and in the summer he can be seen every day fishing by the lake. His catch, though abundant, usually includes only sunfish – small bony fish, that are perfect either as a filler in a fish soup or fried with a light coating of flour. This Friday though he caught three pikes, and my mother in law immediately decided that she will make gefilte fish. For a lot of people gefilte fish comes in a jar, it’s bland and pale and comes packed in gelatinous goo. Some reach into a store’s freezer for a log of frozen gefilte fish packed in parchment and plastic. A lot of people think gefilte fish its lacking in flavor, I blame mass production for that, you can’t mass produce warmth and love that infuse the flavors. In my family – gefilte fish is the freshest fish, lots of sweet caramelized onions, a big dutch oven,the loving hands of the matriarch of the family, and the anticipation of a holiday feast. 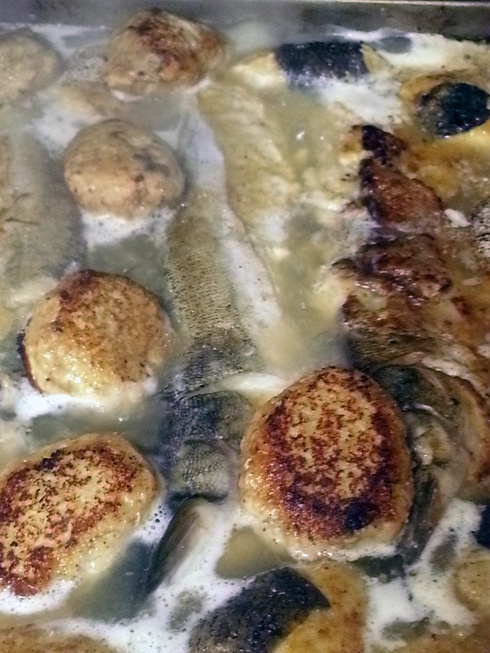 Gefilte fish – means stuffed fish, it’s a traditional ashkenazi dish, that is prepared for holidays and shabbat, when law prohibits cooking and picking out bones. The stuffing usually includes two or three types of different fresh water fish, usually carp, pike and some kind of whitefish, caramelized onions, soaked matza or challah rolls, or cookies even. Every household had the “best” recipe for gefilte fish. My grandmother, aunt, mom and mother in law – all had their own, unique and slightly different versions, that are equally great. In my family gefilte fish is prepared for only for special occasions, and it’s a great honour when your mother in law makes something that time consuming to celebrate her son and daughter in law’s wedding anniversary. My mother in law’s recipe doesn’t include any matzo meal or bread. 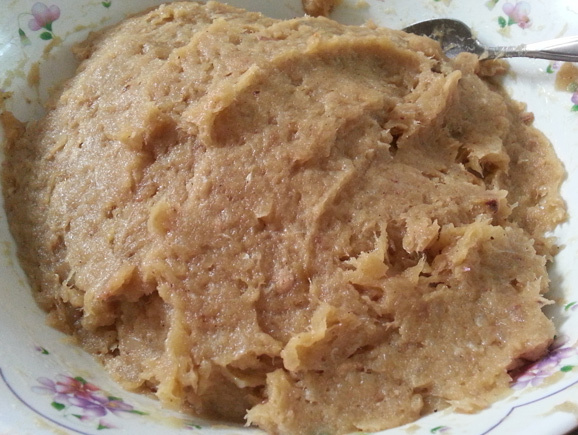 Its just ground fish, eggs and caramelized onions. 3 lbs fish, such as carp, pike, or any mild tasting white fleshed fish. Boned, and butterflied. Skin and bones reserved. You can ask a fish monger to do this for you. Beat eggs lightly, add eggs into ground fish and mix together, add salt and pepper and mix until everything is incorporated. You are looking for a mixture that just holds together. Boil water in a small sauce pan, reduce to simmer. Add a spoonfull of stuffing into the water, cook for a few minutes, taste and adjust the seasonings. Take into consideration that the water will wash away some salt. 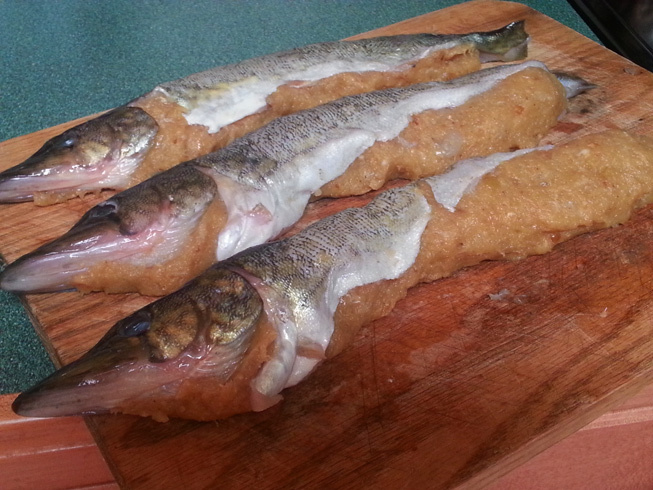 *My mother in law made too much stuffing for the three pikes, by adding a fillet of whitefish to her mix. She therefore had to cut the pikes skin to wrap the extra stuffing. Caramelize the sliced onions. In a pan large enough to accomodate the stuffed fish, lay down fish bones, top the bones with sliced onions and sliced carrots. Carefully transfer fish fillets into a pan with fish bones, onions and carrots. Add boiling water, taking care to pour the water to just cover the fish in such a way as not to touch the fish. Add bay leaves. Bring to a boil, reduce heat and simmer the fish for 2-3 hours, you may need to add more water to keep the fish submerged. The fish is done when the brouth is flavorful. 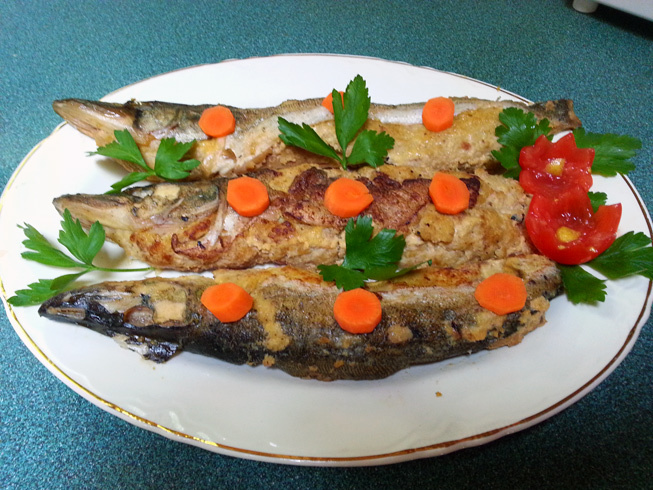 Carefully remove fish to a platter, cool and garnish. You could filter the cooking liquid and pour it over the fish , once it cools it will have a gelatinous consistency (gelatin is extracted from the bones) My mother in law cooks peeled potatoes in the liquid, it makes a great side dish. Thank you so much!!! Now I can enjoy gefilte fish too:) all the recipes i know include wheat and I could not have it yay!!! I’m very glad you like it 🙂 Its a must try, very good. And you can forgo stuffing the skin altogether. Yeay, glad you liked it!